Wondering how to hit those sales targets without bringing on extra staff? 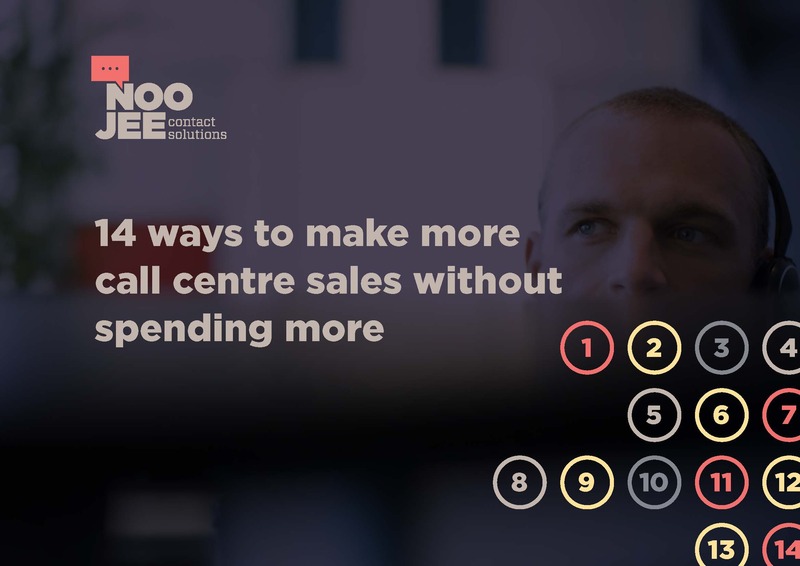 Want to give your outbound call centre sales a boost but have no extra budget to throw at it? Never fear, Noojee is here! We’ve pulled together a list of cost-effective and easy ways to put those lofty sales targets well within reach that don’t cost the earth. We’ll show you how to save time, money and stress with 14 easy to implement tips. Download your free copy now, to give your outbound call centre the ring of success!